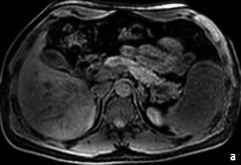 Magnetic resonance imaging (MRI) is establishing a role as a primary diagnostic technique with evidence showing MR to have advantages over computer tomography (CT) as regards diagnostic sensitivity and specificity for many pathologies of solid organs, bile and pancreatic ducts, bowel, peritoneum, and retroperitoneum. 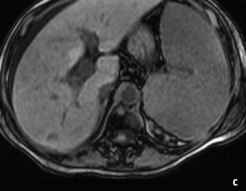 MRI is particularly well-suited to the evaluation of liver pathology due to an ability to generate contrast by a variety of mechanisms. This allows specific evaluation of important diffuse processes such as abnormal fat, as may be seen in non-alcoholic steatohepati-tis, or iron accumulation as seen in hemochro-matosis. The use of intravenous gadolinium-based contrast agents allows evaluation of the vascular supply to benign and malignant tumors, yielding important diagnostic information. Similarly, perfusion and interstitial distribution of gadolinium contrast agent in the liver parenchyma may be valuable for sensitive evaluation of the acute and chronic changes of hepatitis, including cirrhosis. Dynamic perfusion analysis is obtained by the acquisition of a series of scans at multiple times (see Chapt. 3). 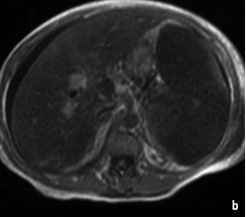 No other imaging technique can provide the comprehensive evaluation of liver disease possible on MRI. Use of contrast-enhanced CT for multiphase examinations is associated with an ionizing radiation burden that is proportional to the number of scans obtained during the study. There are increasing concerns regarding the risks of radiation and the iodinated contrast agents associated with CT imaging of the abdomen. For example, the National Academy of Science has released BEIR VII, the seventh in a series of consensus reports on radiation risks, which includes a section on radiation from diagnostic CT. In brief, assuming the demographic distribution of the U.S. population, a single dose of 100 mSv is associated with an estimated lifetime attributable risk (LAR) for developing a solid cancer or leukemia of 1 in 100 while a single dose of 10 mSv is associated with a LAR of 1 in 1000 for developing a cancer. Given that it is estimated that 60 million CT examinations are performed per year and that utilization is increasing , the potential tumor burden to the population should be an important consideration in determining practice patterns for liver evaluation. The incidence of contrast-induced nephropathy associated with iodinated contrast agents used for CT scanning is difficult to ascertain. Although the risk of renal insufficiency for the general population is estimated at below 2%, risk factors including pre-existing impaired renal function, diabetes mellitus, and high contrast agent volume may significantly elevate the likelihood . 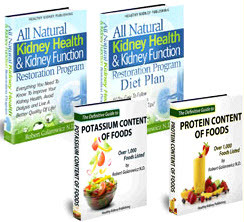 Patients with diabetes and mild to moderate renal insufficiency have been estimated to have a 9%-40% risk, and this estimated risk has been reported to increase to 50%-90% in various studies [ 17,27]. Conversely, the injectable gadolin ium contrast agents used for MRI have an excellent safety history, with no significant nephrotoxic effects. One of the major challenges of MRI in the abdomen has centered on the problem of acquiring data from tissue that normally moves in relation to respiration, with additional undesirable effects from cardiovascular pulsation and bowel peristalsis. 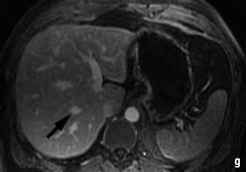 MRI of the liver initially relied upon standard spin-echo (SE) T1-weighted and T2-weighted methods. However, since these are sequences that acquire data over a long time window relative to respiratory movement [3, 8, 13] they require supplemental techniques of respiratory gating, which in turn adds to the total acquisition time. Moreover, the reliability of the examination is reduced as even minor inconsistent respiratory gating can yield non-diagnostic images. Use of these techniques can lead to total procedure times in excess of 60 min. Currently employed MR techniques focus on shorter sequences that can be completed within a breath-hold. These include T1-weighted fast spoiled gradient echo (SGE) and breath-hold half-Fourier transform single shot spin-echo (HASTE or ssfse) methods [3,8,18,31,38,39] (Fig. 1). Tables 1 and 2 summarize the nomenclature for the majority of the currently employed recommended sequences. The single shot spin-echo sequences are slice selective, performing all of the preparation and acquisition for an individual slice in approximately 1 sec, with the central k-space data acquired over a fraction of that time. As the image contrast is derived from the central k-space, single shot techniques are remarkably motion insensitive, and have respiratory-independent characteristics that are useful in non-compliant patients . T1-weighted 2-dimensional (2D) or 3-dimensional (3D) gradient echo sequences tend to be motion sensitive as these techniques use interleaved phase lines: the phase lines are collected from each image slice one phase line at a time moving from slice-to-slice. A consequence is that even transient motion occurring during only a fraction of the acquisition will affect all the slices. T1-weighted techniques with motion insensitive properties are also available. These use the same basic concept applied to the T2-weighted single shot technique: 2D data with rapid filling of the central k-space are acquired by preparing and analyzing one slice at a time. In this case, however, spoiled gradient echo sequences that utilize an inversion or saturation pre-pulse are used to gener ate the T1 contrast [7, 35, 42]. These sequences have been referred to as turbo fast low-angle shot (turboFLASH) and fast inversion-recovery motion-insensitive (FIRM).Another development has been the application of 3D gradient echo sequences modified from MR angiographic techniques. These have various vendor-specific names, including the first description of this technique, known as Volumetric Interpolated Breath-hold Examination (VIBE) . This approach facilitates the generation of high-resolution images of the liver, particularly out-of-phase resolution, with the ability to generate near isotropic voxel sizes in the order of 2-3 mm when combined with interpolation techniques. Such an approach allows better evaluation of hepatic vascular anatomy, and generates volumetric datasets that can be used for mul-tiplanar reconstruction. Another critical element in T1-weighted breath-hold imaging is the use of intravenously-administered gadolinium contrast agents (see Chapt. 3). These agents shorten the T1 relaxation rate of tissues resulting in marked elevation of signal on T1-weighted images. They are used to assess focal liver lesions based upon characteristic vascular enhancement patterns which can be distinguished from adjacent normal hepatic parenchyma [33,36]. The liver is unique in having a dual blood supply, receiving 70-80% of afferent blood flow from the portal vein, and the remainder from the hepatic artery. Hepatic tumors develop selective portal-venous or hepatic arterial blood supply based on their specific characteristics. Tumors that derive blood supply from hepatic arterial branches are best visualized during the hepatic arterial dominant phase of liver enhancement. Hypovascular tumors are predominantly supplied by portal-venous branches, and demonstrate enhancement-time curves that are different from normal liver, having slower and less intense enhancement, which is in part due to the lack of contribution from the hepatic arterial supply, and in part to their lower total in-travascular volume per gram of tissue. Over time, measured in units of minutes, the gadolinium concentration may slowly increase in a non-uniform pattern within these tumors due to leakage of the contrast agent into the interstitial spaces. Therefore, a key to diagnostic MR liver exams is dynamic multiphase post-gadolinium SGE imaging, which provides information regarding the time intensity curves of hepatic lesions (Fig. 1 and Fig. 2) [20,21, 26]. Gadolinium contrast agents are extremely safe; the risk of serious reactions is estimated at around 1 per million while the risk for mild reactions is estimated at around 2.5%. 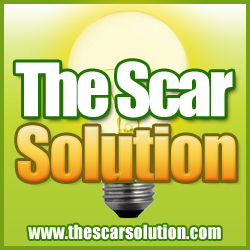 generally considered to be the most useful and practical, particularly for lesion characterization. A review of the enhancement characteristics of benign and malignant lesions reveals that most di-agnostically important information can be derived from SGE images acquired during the hepatic arterial phase after the bolus injection of a gadolinium contrast agent. 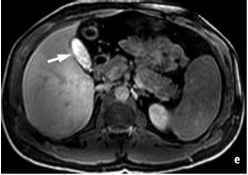 Most of the information required for making a specific diagnosis of cyst, hemangioma, hamartoma, hypervascular FNH or adenoma, or of a hypervascular HCC in cirrhosis, versus a hyper-or hypovascular metastasis, is present on these images. T2-weighted imaging is predominantly used not for lesion detection, but rather for lesion characterization, to demonstrate high water content, which is usually associated with benign cysts, he-mangiomas, or bile duct hamartomas. 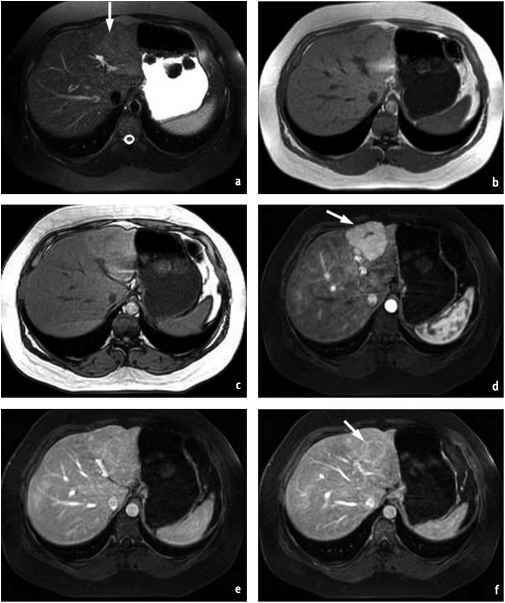 However, hy-pervascular metastases can also demonstrate elevated signal on T2-weighted images. The time delay between initiation of contrast agent administration and initiation of the SGE scan for optimal hepatic arterial dominant phase SGE images is critical, with a narrow time window of 18-20 sec noted for most patients. Visually, this can be verified on the resulting images with ideal results showing contrast enhancement of the central portal veins, while the hepatic veins remain completely unenhanced (Fig. 1). The optimal time for the portal-venous dominant phase is less critical; typically the timing delay is 45-60 sec, with ideal images showing recent filling of the hepatic veins. The time delay for equilibrium phase images is the least critical, and can be performed anytime from 1.5-2 min after contrast agent injection. Although the hepatic arterial dominant phase is di-agnostically critical, one of the great strengths of MR imaging is the availability of multiple sequences, each delineating different components of normal and pathological tissues . Improving disease conspicuity involves maximizing the difference in signal intensities between diseased tissues and the background tissue. For disease processes situated within or adjacent to fat, this is readily performed by manipulating the signal intensity of fat, which can range from low to high on both T1-weighted and T2-weighted images. For example, disease processes that are low in signal intensity on T1-weighted images, such as peritoneal fluid or retroperitoneal fibrosis, are most conspicuous on T1-weighted sequences in which fat is high in signal intensity (i.e., sequences without fat suppression). Conversely, disease processes that are high in signal intensity, such as subacute hemorrhage or proteinaceous fluid, are more conspicuous if fat is rendered low in signal intensity with the use of fat suppression techniques. On T2-weighted images, features that are low in signal intensity, such as fibrous tissue, are most conspicuous with sequences that render the background fat high in signal intensity, such as echo-train spin-echo sequences. Features that are moderate to high in signal intensity on T2-weight-ed images, such as lymphadenopathy or ascites, are most conspicuous with sequences in which fat signal intensity is rendered low, such as fat-suppressed sequences. Gadolinium chelate enhancement is routinely useful because it permits visualization of the pattern of blood delivery (i.e., capillary enhancement) and the size and/or rapidity of drainage of the interstitial space (i.e., interstitial enhancement) both of which improve the detection and characterization of disease [4,37]. Arterial-phase image acquisition is achieved using a short-duration sequence initiated immediately after gadolinium injection. A spoiled gradient-echo (SGE) sequence, performed as a multisection 2D or 3D acquisition, is an ideal sequence to use for arterial phase imaging. The majority of focal mass lesions are best evaluated in the arterial phase of enhancement, particularly lesions that do not distort the margins of the organs in which they are located (e.g., focal liver, spleen, or pancreatic lesions). Images acquired 1.5-10 min after contrast administration are in the equilibrium phase of enhancement, with the optimal window being 2-5 min after contrast agent administration. Diseases that are superficial, spreading, or inflammatory in nature are generally well-shown on equilibrium phase images. The concomitant use of fat suppression serves to increase the conspicuity of disease processes characterized by increased enhancement on equilibrium phase images including peritoneal metastases, cholangiocarcinoma, ascending cholangitis, inflammatory bowel disease, and abscesses [8, 18]. The majority of liver diseases can be characterized by defining their appearance on pre-contrast (unenhanced) T1- and T2-weighted images and on T1-weighted images acquired during the hepatic arterial, portal-venous and equilibrium phases after the injection of a gadolinium-based contrast agent. With the recent approval by the U.S. Food and Drug Administration (FDA) of Gadolinium-BOPTA, a gadolinium-based T1-shortening MR contrast agent is now available in the USA which permits additional contrast-enhanced T1-weight-ed imaging during a delayed time-frame for the improved detection and further characterization of liver lesions (Fig. 2). This is discussed in detail in Chapter 3.
eases of the pelvis. The primary information that precontrast T1-weighted images provide includes: 1) information on abnormally increased fluid and fibrous tissue content which appears low in signal intensity on T1-weighted images; and 2) information on the presence of subacute hemorrhage or concentrated protein, which are both high in signal intensity. T1-weighted sequences obtained without fat suppression also demonstrate the presence of fat as high signal intensity tissue. The routine use of an additional fat attenuating technique facilitates reliable characterization of fatty lesions. When gadolinium-enhanced imaging is performed, fat-suppression is critical for improving the contrast between enhancing soft tissue structures and adjacent fat. Examples of such soft tissue structures include retroperitoneal vasculature and lymph nodes, mesenteric lymph nodes, the pancreas, and the peritoneum. T1-weighted SGE sequences are the most important and versatile sequences for studying abdominal disease. In combination with a phased-array multi-coil, these sequences may be used to replace longer duration sequences such as Tl-weighted spin-echo (SE) sequences. SGE sequences are characterized by a relatively long repetition time (TR) (approximately 150 msec) to maximize signal-to-noise (SNR) ratio and the number of sections that can be acquired in one multisection acquisition, and a short in-phase echo time (TE) (approximately 4.2-4.5 msec at 1.5 Tesla (T)). At 1.5 T, protons in a voxel containing 100% fat will precess approximately 220-230 Hz more slowly than protons in a voxel comprising 100% water. The result is that the precession of protons becomes increasingly out-of-phase. The time required for protons to regain a full in-phase orientation is approximately 4.4 msec at 1.5 T. After 2.2 msec (i.e., half this time) the precession of protons in water and fat will be 180° out-of-phase. The current generation of MR software incorporates dual-echo breath-hold SGE sequences that can acquire two sets of 2D k-space data and two sets of images, one inphase and the other out-of-phase, with spatially matched slices . The flip angle should be approximately 70-90°, to maximize the T1-weighted signal. With the use of phased-array surface coils, section thicknesses of 5-7 mm result in diagnosti-cally adequate images. On new MRI machines, more than 22 sections may be acquired in a 20 sec breath-hold, or 44 paired sections when using the dual-echo technique. Low levels of intracellular fat accumulation may be detected on out-of-phase (opposed-phase) SGE images. This is useful for demonstrating diseased tissue in which mixtures of fat and water protons are present within the same voxel (Fig. 3). A voxel containing predominantly fat or water will not demonstrate diminished signal on out-of-phase images. On the other hand, cells that accumulate lipid, such as hepatocytes with abnormally elevated cytosolic lipid vacuoles, or lipid-laden adrenal adenomas, can be found to have a diminished signal on out-of-phase images, compared to in-phase images . This is due to a mixed aqueous-lipid environment within the cells. Lipid in subcutaneous or intra-abdominal adipocytes has very little free water available, and thus the out-of-phase effect does not occur. Another use of dual-echo imaging is to identify paramagnetic effects associated with iron (Fig. 4) . 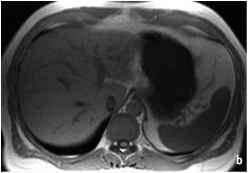 Abnormally elevated liver iron deposition may develop in iron overload from increased red cell turnover, or from genetic hemochromatosis (see Chapt. 9, Section 9.4) [2, 9, 10, 14, 40 44]. 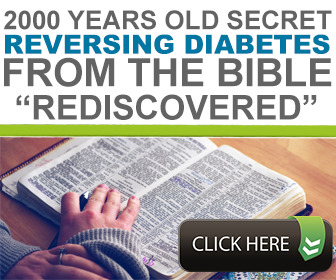 To different degrees this may also involve the spleen and pancreas. On the longer second echo (4.4 msec at 1.5 T) image, iron will lead to the loss of tissue signal due to T2* effects [ 1,2,9,10,14,15]. Similarly, paramagnetic surgical clips may be seen to cause blooming of a dark focus around the clip on the longer second echo image. At 1.5 T, both fat and iron cause liver signal decrease on out-of-phase images acquired using a TE of 6.6 msec, relative to the in-phase images acquired with a TE of 4.4 msec. Conversely, on 2.2 msec out-of-phase TE images fat is darker and iron is brighter, relative to 4.4 msec TE images. This is the most important reason for always adjusting the dual echo acquisi tions to obtain the out-of-phase echo at a shorter TE than the in-phase echo. Generally, using the shortest possible out-of-phase and in-phase echo times will assure the best quality images, with better signal and fewer susceptibility artifacts. Fat suppressed (FS) SGE images are routinely acquired before contrast injection for evaluating the pancreas  and for the detection of subacute hemorrhage . Fat suppression is generally achieved on SGE images by selectively stimulating slower-precessing protons associated with fat using a tuned radio-frequency (RF) pulse, prior to performing the gradient echo imaging components of the sequence. The image parameters are similar to those for standard SGE sequences. It may be advantageous to employ a lower out-of-phase echo time (2.2-2.5 msec at 1.5 T) to benefit from additional fat-attenuating effects and also to increase the SNR ratio and the number of sections per acquisition. On current MRI machines, fat-suppressed SGE permits the acquisition of 22 sections in a 20 sec breath-hold with reproducible uniform fat suppression. One method that modern systems use to reduce the amount of additional time that fat suppression adds to the SGE sequence, and to acquire a greater number of slices per breath-hold, is to perform a fat suppression step after several phase encoding steps, rather than after every phase encode. Another approach is to selectively tune the stimulation RF pulse to activate protons in water, but not in fat. This eliminates the need to add fat saturation pulses . Fat-suppressed SGE images are used to improve the contrast between intra-abdominal fat, diseased tissues and blood vessels on interstitial-phase gadolinium-enhanced images. Gadolinium enhancement generally increases the signal intensity of blood vessels and disease tissue, and fat suppression diminishes the competing high signal intensity of background fat. Fig. 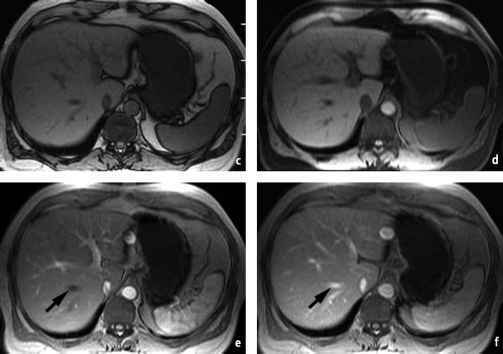 4a-c. Coronal single-shot echo-train T2-weighted (a) and axial in-phase (b) and out-of-phase (c) T1-weighted GRE images demonstrating iron deposition in both the liver and the spleen. The coronal T2-weighted image shows abnormal low signal intensity in the liver and spleen (a). Normally, the spleen is higher in signal intensity than the liver, and both liver and spleen should be significantly higher in signal intensity than paraspinal skeletal muscle (Refer to Fig. 1 and 2 for examples of normal liver signals). The in-phase Tl-weighted GRE image (b) shows a marked drop in signal intensity throughout the liver and the spleen, in contrast to the out-of-phase image (c) and in contrast to paraspinal muscle. These images show changes resulting from T2* effects of paramagnetic iron accumulation sections than typically acquired for 2D images (generally in the 2.5-3.0 mm per slice range) and to post-process the data into other imaging planes. Although there are differences between some of the sequence features on different MR systems, fat suppression tends to be superior with greater uniformity compared to 2D SGE. On some MR systems, it is also possible to image a larger volume of tissue during the same breath-hold period than with 2D SGE. A potential limitation of 3D SGE imaging is diminished contrast-to-noise. However, this can be improved with the use of gadolinium enhancement. The very short TR and TE values achieved with this technique using the latest generation highspeed gradients results in significant advantages: imaging with a greater number of thinner slices while contiguously covering a larger volume of tissue during a single breath-hold; fat-suppression without compromising the required slice coverage; reduction of paramagnetic image artifacts. Limitations of both 2D and 3D SGE imaging are a degree of sensitivity to motion and a requirement for the patient to cooperate by following breathing instructions. In uncooperative patients, the SGE sequence may be modified to achieve respiratory-independent images (Fig. 5). Typically, a single shot approach using the minimum TR possible is utilised. Such sequences include the so-called magnetization prepared rapid acquisition gradient echo (MP-RAGE), and turbo-fast low angle shot (Turbo FLASH) sequences. These techniques use magnetization-prepared SGE, in which an inversion pre-pulse improves the T1-weighted contrast during a short single slice acquisition. As the protons recover magnetization, a single slice SGE imaging sequence with short TR is performed. An inversion time of around 0.5 sec provides optimal T1-weighted contrast, and sufficient time to allow the protons to recover between slices leads to an effective slice-to-slice TR of approximately 1.5 sec. This technique can depict blood flowing through the imaging plane as either bright or dark, by making the pre-pulse slice-selective or non slice-selective, respectively  . A limitation of this technique is the inability to obtain as high a T1-weighted contrast as with standard SGE. 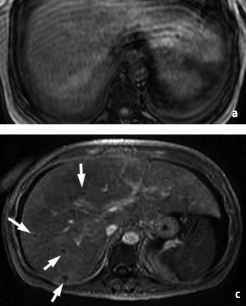 Another limitation is that the magnetization-prepared slice-by-slice technique cannot be used for dynamic gadolinium-enhanced imaging of the liver, particularly during the hepatic arterial dominant phase. As each slice requires around 1.5 sec to acquire, the time differ ence accumulated between the top and bottom liver slices is too great to capture the entire liver in the arterial phase of enhancement. In contrast, the standard SGE sequences, although motion sensitive, offer superior time resolution for the entire volume of tissue imaged, with the critical contrast data acquired in less than 5 sec. With these data time-averaged throughout the entire set of slices, the entire liver can be imaged in the same phase of contrast enhancement. An alternative strategy developed to deal with motion is based on motion correction. Older methods using slow spin-echo sequences that required several minutes per acquisition used bellows applied around the patient's lower chest to detect the respiratory cycle, in order to trigger acquisition of data only during end-expiration. Although similar in strategy, a more accurate method has been developed in conjunction with rapid imaging sequences. With this approach a rapid acquisition MP-RAGE type sequence is used to acquire a continuous series of sagittal images across the right hemi-diaphragm at a rate of greater than one image per second. The liver-lung interface produces a high contrast border that can be automatically detected by the specialized software, and used to trigger image acquisition at the same phase of the respiratory cycle. Another approach uses phase accumulation during motion of the tissue in order to calculate a correction factor, which is then used to restore the detected signal to the location from where it would have originated had there not been any movement. These methods are still considered to be under development. In addition to its use in precontrast T1-weighted imaging, SGE sequences are routinely used for multi-phase image acquisition after intravenous administration of gadolinium contrast agents for investigation of the liver, spleen, pancreas, and kidneys (Fig. 6). An important feature of the multisec-tion acquisition of SGE images is that the central phase-encoding steps are generally used to fill the central k-space, which determines image contrast. This contrast component of the dataset is acquired over a 4-5 sec period for the entire dataset, and is essentially shared by each individual section. As a result, data acquisition is sufficiently short for the entire dataset to isolate a distinct phase of enhancement (e.g., hepatic arterial dominant phase). This ensures that images of organs, such as liver, are shown in the same phase of contrast enhancement uniformly throughout the volume of the tissue. Typical information available on T2-weighted sequences includes: the presence of increased fluid in acutely inflamed diseased tissue, which has high signal intensity; the presence of chronic noninflammatory fibrotic tissue , which has low signal intensity; and the presence of iron deposition or heme products, which has very low signal intensity. Standard T2-weighted spin-echo or fast spin-echo sequences have relatively long acquisition times (several minutes are needed to acquire slices through the abdomen or pelvis) but the achieved-contrast-to-noise ratio is good. Unfortunately, breathing-related motion precludes use of these sequences for abdominal imaging, unless used in conjunction with a motion correction method, such as respiratory gating. Not only does this add to the total scan time, but the achieved motion correction is not reliable or accurate: usually mild edge blurring leads to deteriorated resolution. Typical scan times are 5-7 min, depending on the respiratory rate and pattern. However, it is not unusual for the acquisition to fail, necessitating repetition. Pelvic imaging can be performed without breath-holding in most patients, with little image deterioration due to breathing-related motion relative to the upper abdomen. Motion due to bowel contraction can cause image deterioration, and can be reduced using intravenous or intramuscular glucagon. The latest generation fast spin-echo techniques inlcude sequences called turbo spinecho, or fast spin-echo-xl which are based on intermediate length echo-trains. With these sequences acquisition times can be reduced to as low as 2.5 min for the pelvis. Echo-train spin-echo sequences are single shot fast spin-echo, turbo spin-echo, or rapid acquisition with relaxation enhancement (RARE) sequences. The principle of echo-train spin-echo sequences is to sum multiple echoes within the same repetition time interval, leading to decreased examination time, increased spatial resolution, or both. This is a slice-by-slice technique, in which a single slice-selective excitation pulse is followed by a series of echoes, typically 180° pulses, each separated by around 3 msec, to fill in the k-space for the entire slice. Although the theoretical TR is infinite, each slice requires around 1.2-1.5 sec, before continuing to the next slice. Since the motion sensitive component represents only a small fraction of the entire acquisition period, this technique is relatively insensitive to breathing artifacts. 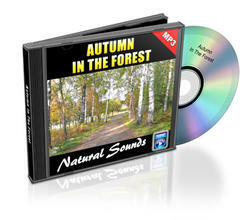 Echotrain spin-echo has achieved widespread use because of this advantage. In contrast, conventional T2-weighted spin-echo sequences are lengthy and suffer from patient motion and increased examination time. The major disadvantage of echo-train sequences is that T2 differences between tissues are decreased. Although this is usually not problematic in the pelvis because of the substantial differences in T2 values between diseased and normal tissue, in the liver the T2 difference between diseased and background normal liver may be small, and thus a decreased T2 difference may result from the T2-averaging effects of summed multiple echoes. This may result in relatively diminished lesion conspicuity for lesions with mildly elevated T2-weighted signal intensity, such as HCC, as compared to standard spin-echo sequences. Fortunately, diseases with T2 values similar to those of liver generally have longer T1 values than liver, so that lesions that are poorly visualized on echo-train spin-echo are generally well-visualized on native SGE or immediate post-gadolinium SGE images as low-signal lesions. 3-4 mm for higher spatial resolution, or by using a single thick slab of 3-4 cm if the need is to include the majority of the pancreatic and bile duct in a single image.As a result of the repeated refocusing echo pulses, echo-train imaging is relatively insensitive to respiratory motion and bowel peristalsis. Combined with its relative resistance to the paramagnetic distortion effects of intraluminal bowel gas, echo-train imaging is therefore particularly well-suited to imaging the bowel. Fat is high in signal intensity on echo-train spin-echo sequences in comparison to conventional spin-echo sequences, in which fat is intermediate in signal intensity. The MR imaging determination of recurrent malignant disease versus fibrosis for pelvic malignancies illustrates this difference. Recurrent malignant disease in the pelvis (e.g., cervical, endometrial, bladder, or rectal cancer) generally appears high in signal intensity on conventional spin-echo sequences because of the higher signal intensity of the diseased tissue relative to the moderately low-signal intensity fat. In contrast, fat is high in signal intensity on echo-train spinecho images, and recurrent disease will commonly appear relatively low in signal intensity. Unfortunately, the fact that abnormal tissue is not high in signal intensity on echo-train T2-weighted images relative to fat is not specific for neoplasm, as fibro-sis can have a similar appearance. This is particularly problematic in post-therapy patients. Fat may also be problematic in the liver because fatty liver is high in signal intensity on echotrain spin-echo sequences, thereby diminishing contrast with the majority of liver lesions, which are also generally high in signal intensity on T2-weighted images. It is often necessary to use fat suppression on T2-weighted echo-train spin-echo sequences for liver imaging. Fat suppression should generally be applied to at least one set of images of the abdomen or pelvis, to ensure optimal contrast between high signal abnormalities, such as fluid collections or cystic masses, and adjacent intra-abdominal or pelvic fat. weighted techniques are sensitive to motion and will suffer from respiratory-related image deterioration. However, magnetization-prepared gradient echo sequences, for example TurboFLASH, which operates as a slice-by-slice single shot technique, can generate T1-weighted images that are resistant to deterioration from respiratory motion. Unfortunately, a limitation of magnetization-prepared gradient echo sequences is that the contrast-to-noise ratio is inferior to regular gradient echo, and that the time to image the entire liver is typically 15-20 sec, making it impossible to acquire all of the liver in the optimal arterial capillary phase of contrast enhancement after administration of gadolinium contrast agent. However, in the setting of an uncooperative patient, this technique provides an alternative that can yield some of the diagnostic data required from pre- and post-contrast T1-weighted images. Phased-array surface coils provide on average a three-fold improvement in SNR and should be considered essential for optimal imaging of the abdomen and liver. New technical developments include increased numbers of coil receiver elements associated with magnets that are engineered with a greater number of receiver channels. In combination with parallel processing techniques such as SENSE and SMASH , these represent methods that use coil element sensitivity profiles to obtain spatial information that can lead to reduced acquisition times for gradient echo imaging. As the number of coil elements and receiver channels are increased, the degree of acceleration may be increased. In addition, improved coil system designs facilitate more rapid imaging of multiple body regions in combination, such as the abdomen and pelvis. The magnetic field strength of choice currently employed for body MRI is 1.5 T. At the current state of development, this field strength provides an optimal combination of SNR and speed, allowing optimization of rapid acquisition techniques while staying within government institution-determined energy deposition-rate limits. These systems also provide a good balance between T1 values, that are dependent on field strength, and achievable contrast effects. In addition, field distortion and paramagnetic effects that increase with increasing field strength possibly resulting in undesirable image artifacts remain within tolerable limits at 1.5 T. There are theoretical considerations favouring development of higher field systems for body MRI and efforts are well underway to transfer techniques used at 1.5 T to 3 T. However, it has become apparent that the approaches used previously to migrate from lower to higher (1.5 T) field systems have not proven successful in migrating from 1.5 T to 3 T. The relative strengths of higher field imaging at 3 T, in general, are more easily realized when using longer acquisition techniques such as fast spin echo (FSE) T1- and T2-weighted images, or multi-excitation gradient echo with oversampling. This explains the relative ease with which implementation of 3 T imaging has occurred for brain, spine, and musculoskeletal applications where longer acquisition imaging is used predominantly (in the order of minutes) and the relative difficulty in implementing 3 T imaging for the abdomen, where faster acquisition sequences are needed (in the order of seconds). Specific challenges for body imaging at 3 T are detailed below. At 3 T the Specific Absorption Ratio (SAR), a measure of RF energy deposited in the body, increases by a factor of four, and has an undesirable impact on essential image characteristics including contrast, acquisition time, and resolution. The SAR thresholds as per Food and Drug Administration guidelines are 2 W/kg in the normal mode and 4 W/kg in the first level-controlled mode . Susceptibility effects are greater at 3 T. In body imaging these may arise from surgical clips or hardware or from air-soft tissue interfaces that arise from the lungs, gastrointestinal tract or irregular skin surfaces. Fields-of-view in excess of 35-40 cm are commonly used for body imaging in the z-direction, placing high demand on static magnetic field homogeneity over a large area. Field homogeneity is significantly more challenging at 3 T.
Motion from respiration, heart and bowel peristalsis may cause marked image deterioration. At 3 T fast acquisition techniques may be limited by SAR concerns. Sequences have been optimized at 1.5 T to achieve a balance between speed of acquisition and image contrast. At 3 T, image contrast may suffer from a combination of compromises arising from SAR limitations. In addition, adjustments are required to adapt to the longer T1 and shorter T2 of soft tissues at 3 T.
RF signal generated at 3 T is four times stronger than at 1.5 T. However, a simultaneous increase in noise by a factor of two results in a net SNR ratio increase of only two. A challenge is to be able to realize this theoretical benefit as the increase in SNR at 3 T is balanced against losses from adjustments for limitations related to SAR. This phenomenon is seen as a loss of signal when the transmitted wavelength approaches the size of the body structure . For a circular body habitus there is loss of signal at the periphery, while for an oval body habitus the signal loss occurs at the periphery of the short axis. To a certain extent this can be corrected using phantom-derived algorithms like body-tuned CLEAR (Philips Medical Systems). 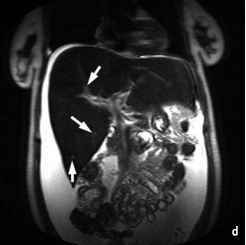 Abdominal MRI should be considered a primary imaging method for many important disease processes, and the method of choice for imaging of both diffuse diseases and tumors of the liver. 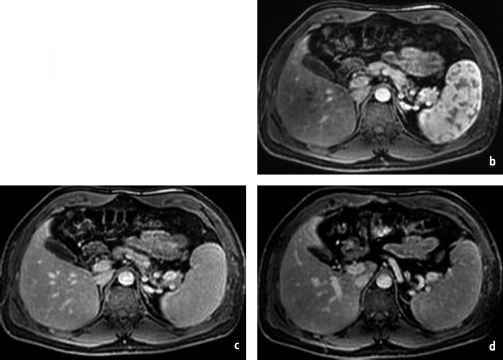 Reproducible diagnostic quality liver imaging with rapid acquisition techniques is feasible using the techniques discussed in this chapter. Gadoliniumenhancement is the key to a comprehensive examination and dynamically acquired images should include, at a minimum, the capillary-arterial, por tal-venous and equilibrium-interstitial phases. An additional benefit of the rapid imaging strategies discussed in this chapter is shortened examination times. Ongoing technological developments may provide greater degrees of simplicity, reproducible quality, faster examinations, and accessibility to a broader range of imaging centers, including those with less experience in MRI. Is there any homeopathy medicine for tiny. subcentimeter mysentric lymph nodes?